The folks behind the Notion Ink group have returned after a not-so-popular Adam tablet that not only the company would be adding Ice Cream Sandwich to your Adam tablet, but also promises it in late October. Now is not too far-fetched to think that the author of this press release, Rohan Shravan, Chief of Notion Ink, as Android 4.0 has been rumored to arrive by November. 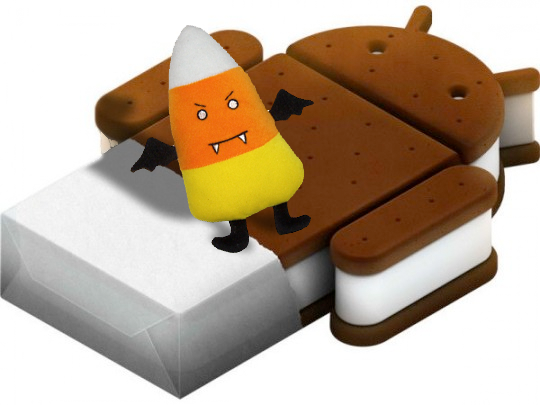 In a press release shows this weekend, Shravan announced that the official (" refresh button ") Ice Cream Sandwich upgrade will happen in November after the official launch of Google in late October. This followed last week announcement from Google CEO Eric Schmidt himself as October or November as the launch window. Shravan went on to add that he was pretty sure OMAP would be the chipset of choice for next generation systems running Android. Shravan told, "if you go by the signs of the industry, OMAP is the preferred platform for the next wave of devices." Slashgear has earlier reported that Google would be developing Icecream Sandwich around the OMAP4 structure. Texas Instrument apparently promised to provide the chips to Google on time. Slashgear mentioned NVIDIA’s lack of engineering depth and innovation (we don’t exactly agree with this though) & possible delay in delivery as some of the possible reasons. The search giant might also look at Qualcomm to provide the chips for tablets. Looking at Shravan’s comments, Notion Ink has no problem following the trend. But then Adam has always been the one trying to stand out of the crowd with its Pixel Qi screens and custom UI. We hope the trend continues, but with a more direct approach at marketing and customer build-up.